Great things happen in Sheffield after 5pm, and if you’re into your crafts, there is plenty of creative events going on to keep your appetite for all things arty satisfied. The Art House on Backfields in Sheffield city centre is a hub for all things creative, and offers a number of pottery courses, art courses and family activities. Many of these courses run in the evening, and are the perfect wind down after a busy day at work, providing relaxation and the opportunity to learn something new. On 9 February, The Art House is holding its first paint and sip session for a special introductory price of just £15. Budding artist are invited to create a still life image of their choice whilst enjoying a drink in a sociable, friendly environment. 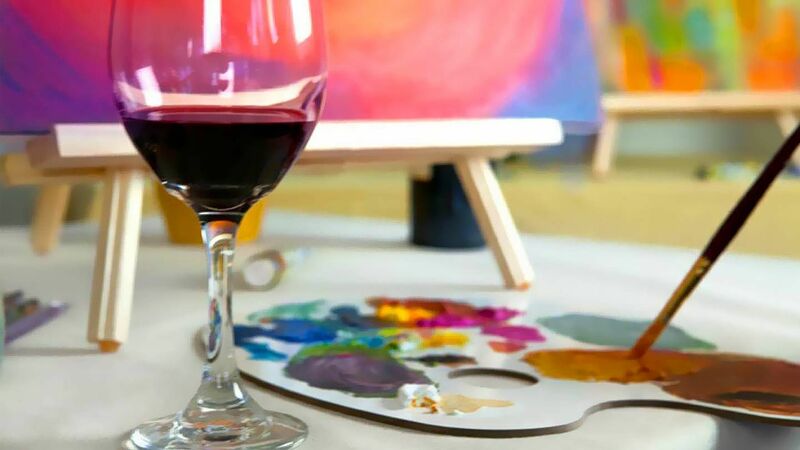 An experienced tutor will be on hand to help, all you need to do is bring your own wine and get arty! On Mondays, The Art House plays host to Tim Bye’s Sketch Club – a relaxed drawing club where artists are invited to develop their sketching skills in a creative and collaborative environment. Starting at 6:30pm, each week has a different theme, with reference materials provided as inspiration. All levels of ability and experience are welcome, with an aim to be inspired and create new work. For those who prefer fabric to paper to create their art, Sew in the City offers a huge amount of classes and workshops, covering everything from lampshade making to cardigan creation. On 9 February, Art House will be hosting a patchwork and quilting for beginners workshop. The third in a series of workshops, budding quilters will learn basic techniques including fabric selection, wadding/batting options, equipment requirements and the basics of quilting terminology. Union St co-working and event space often runs creative classes in #SheffAfter5. Monthly life drawing classes with Endless Love Creative see artists sit down to drawn the female form in a variety of poses, stopping for a drink and to socialise part way through. The next class will take place at Union St on 9 February from 7pm. If you discover a fantastic craft class, workshop or other creative event, let us know by using #SheffAfter5.